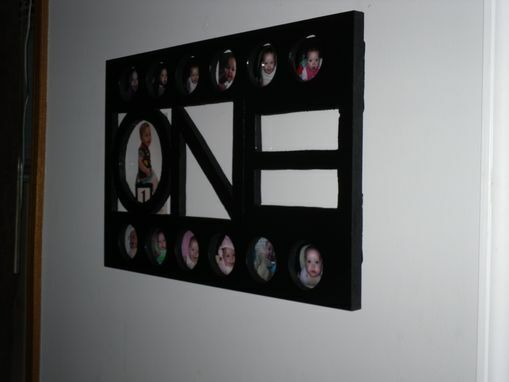 This beautiful frame allows you to show off your favorite memories from your baby's first year. Time goes by so fast during this year that you'll need something to remember every change that your baby goes through. This piece is constructed of solid wood. 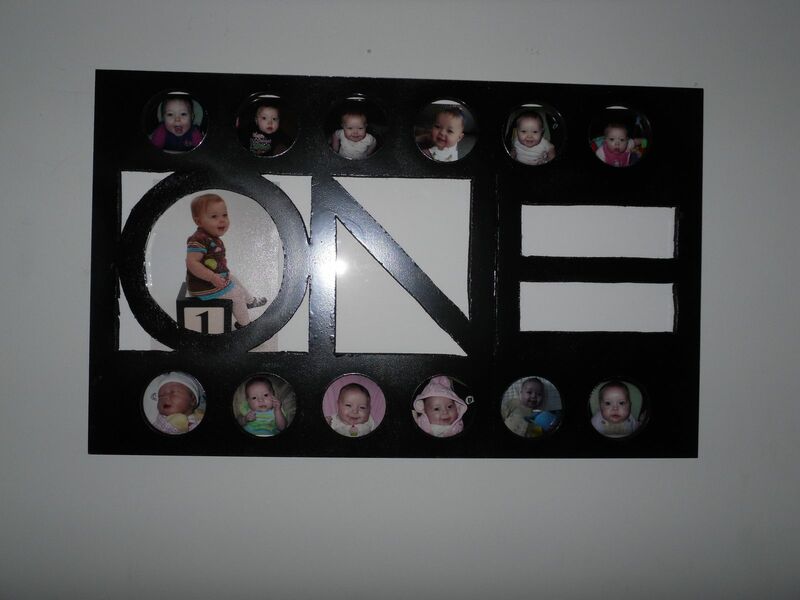 It has 12 circular spots to fit wallet sized photos while allowing room for your favorite 5"X7" in the middle. Dimensions: As shown, 24" X 16".